If the word “Primary Immunodeficiency Disease (PI) sounds complicated to you, you wouldn’t be alone in your thinking. PI is not a single disease but a group of rare genetic disorders a person is born with that affects the immune system. A person can have a piece of their immune system that is not properly functioning or it may be missing all together. There are over 300 different types of PI. Some are more prevalent than others. All of them are considered rare and affect about 250,000 people in the U.S alone. The immune system has many moving parts and various functions. One of those functions is keeping an individual healthy and free of harmful organisms. Immunoglobulin’s (Ig) help to fight off these organisms. They are one of the largest components making up the immune system. There are five types of immunoglobulin’s (also known as antibodies) IgG, IgA, IgM, IgD and IgE, with the most abundant being IgG. If a person has low levels of certain Ig then it makes them more susceptible to having severe infections .They may have severe infections when they come into contact with every day situations. Healthy individuals can easily fight these infections off. For a person with PI, since they are missing a piece of their immune system it makes it more difficult to rid the body of unwanted organisms. On the flip side, if a person has too much of an Ig type (such as Hyper IgE syndrome, also known as Job’s Syndrome) then that can also wreak havoc on the immune system as well. Many people have heard of IgE before, as this deals with many types of allergic reactions in the body. 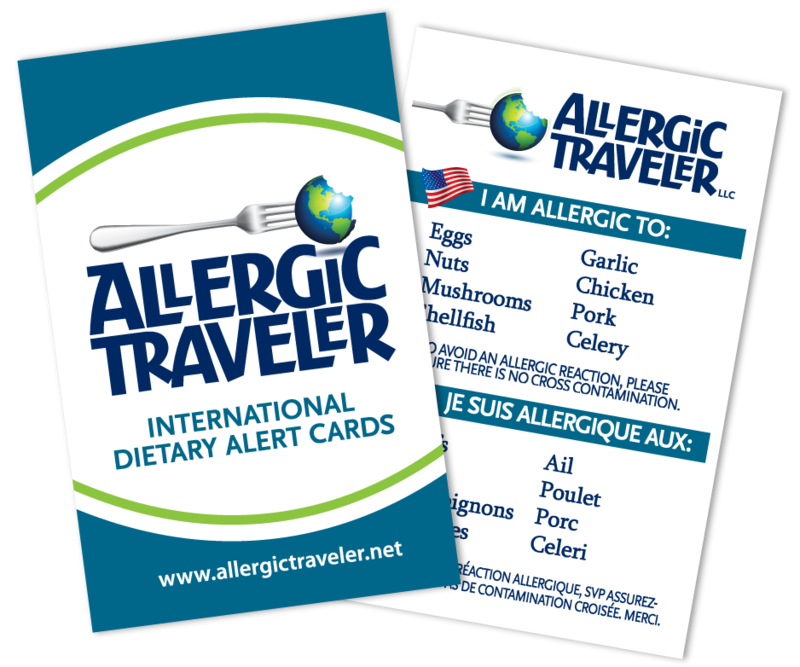 Although it is uncommon (roughly 1.8%), some PI patients can have food allergies. When an individual comes into contact with a specific allergen the immune system sets off an alarm and begins to make IgE antibodies against the substance that’s causing the allegic reaction. These substances may include specific foods, pollen, animals and other exposures. So what is the treatment for such a group of rare disorders? 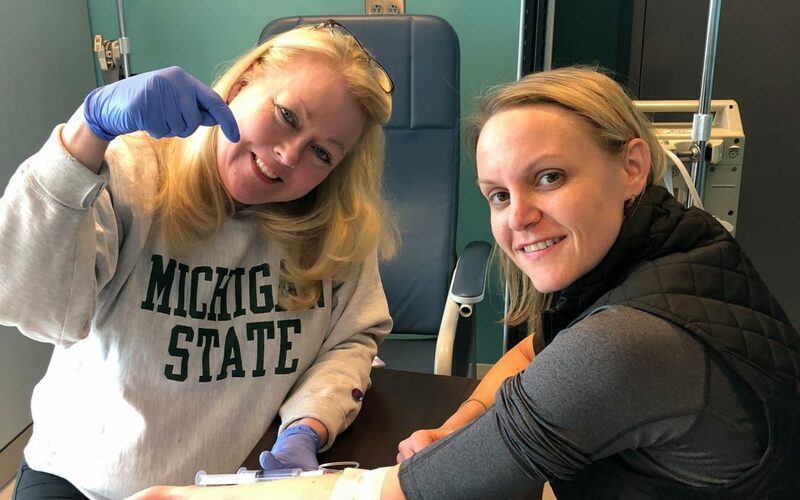 Depending on the specific type of PI a person has, treatment usually comes in the form of a life-saving product called immunoglobulin replacement therapy. This can be given intravenously (through the vein, also known as IVIG) or subcutaneously (through the skin, also know as SCIG). These routes can be delivered at home, in a hospital, infusion suite or even a doctor’s office. The route that Ig replacement therapy is delivered is dependent upon the patient and their medical provider. The frequency also depends on the route of administration used and the patient. It is usually indefinite once therapy is started. Both IVIG and SCIG are medications that are derived from plasma products. These products come from healthy plasma donors after careful screening has been conducted at the donor center. The antibodies are pulled from the donor’s plasma and the blood cells are placed back into the donor in a process call plasmapheresis. It then undergoes a vigorous process of purification to rid the plasma of any underlying organism that are in the blood. What are the symptoms of PI? Severe: an infection that requires hospitalization or IV antibiotics. Unusual: the infection or organism is an uncommon one. Recurrent: the infection keeps returning, even after treatment has been applied. 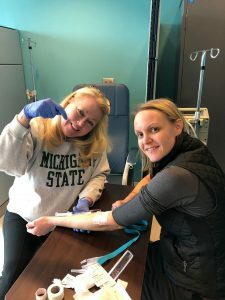 PI’s are rare and other things could mimic the above symptoms but if these symptoms apply to you or others you may know, it may be worth consulting an immunologist to perform an exam and run tests to find out what may be the cause of the symptoms. There is no single test to diagnose PI and a diagnosis depends on many factors, including seeing a board-certified allergist/immunologist that specializes in the treatment of PI. What’s the outlook for these patients, you ask? Well, it depends….on a LOT of factors. The good news is that there are treatment options. Out of the 7,000 rare diseases only about 300 have treatment options available. PI is one of those fortunate rare diseases. Other factors for prognoses may depend on the specific PI that affects the patient. Lifestyle habits, complications or irreversible damage to other organs from infections such as in the lungs can all be factors in the treatment. I’m lucky enough to be one of the rare folks that has a PI and receives IVIG every 3 weeks. I’ve been doing this for 9 years. I educate patients as well as medical providers (including doctors) about PI. It is very important to be treated and followed by a specialist that is trained in treating PI, such as an allergist/immunologist. Not all allergist/immunologist treat PI. In fact, only a very small percentage of allergist specializes in this field. Make sure you do the research in finding the right allergist for you or your loved one. Since PIs are so rare many medical providers don’t know about them or even understand them. This is why a lot of times a diagnosis of PI comes decades later in life for patients. PI’s are often not caught early in life because they can imitate other diseases or disorders. Doctors are often taught in medical school, “When you hear hoof beats, think horses, not zebras.” This means that physicians need to think of the most common and logical explanation to an issue and not an unusual one. PI’s are the “zebras” in this scenario since PI’s are so rare and uncommon. I tell PI patients that I meet, to not let their disease control their lives. Their disease is not who they are nor should it hold them back from doing things they may want to do or accomplish. I take that to heart everyday that I wake up. 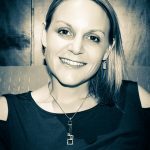 Lauren Dunlap is a PI patient and the Executive Director and Co-Founder for Advocacy & Awareness for Immune Disorders Association (AAIDA). AAIDA is a 501(c)3 nonprofit that was founded by Lauren and her immunologist, Dr. Maeve O’Connor in Charlotte N.C.
AAIDA’s purpose is to educate patients and providers alike, to advocate for patients living with immune disorders and to create awareness about specific immune disorders, all the while making strides in research to find cures and novel treatment options for these diseases. 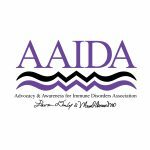 If you want to learn more about AAIDA, PI or other types of immune disorders, please visit www.GoDoAaida.org or call 704-993-8389. Disclaimer: I am in no way giving medical advice but simply educating others about PI. If you are having a medical concern or complication please contact your healthcare provider. The AAIDA Charlotte Knights baseball game August 3rd at 7pm. August 23rd AAIDA is hosting our first Colorado fundraiser “Beer & Bites” at the Village Tavern at the Flatirons mall. September 20th is the Charlotte “Beer & Bites” at the Village Tavern at Southpark.